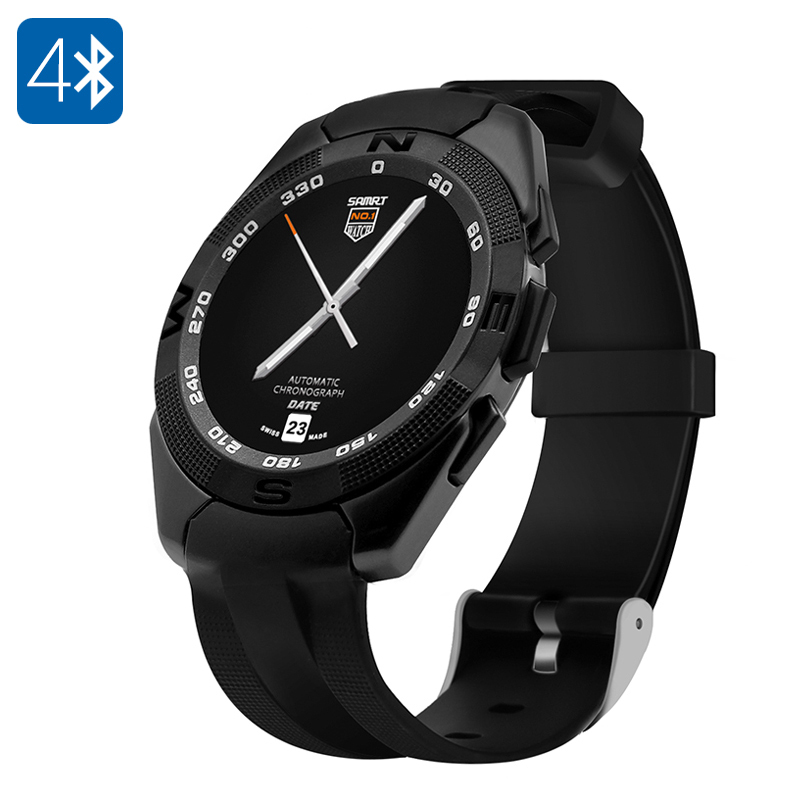 Successfully Added NO.1 G5 Smart Watch - Heart Rate Monitor, Bluetooth 4.0, Sync With Smartphone, Pedometer, Sleep Monitor (Black) to your Shopping Cart. Synchronize the NO.1 G5 Heart Rate Monitor with your smartphone and enjoy all your basic smartphone features straight from your watch. Call out, answer or reject incoming calls, hang up the phone, and listen to music without needing to take your phone out of your bag - when connected to your cell phone this smart watch is capable of performing and taking over numerous features from your smartphone. Featuring a 380mAh battery the NO.1 G5 Heart Rate Monitor has a standby time of up to 72 hours – allowing you to enjoy all its features for days in a row before running out of juice. Its 240x240 resolution OLED screen provides a crystal clear and bright display making it possible to read your heart-rate and notifications even when out sporting in full sunlight. With its sporty design and amazing features the NO.1 G5 Heart Rate Monitor is the perfect sports and fashion accessory that can be worn at any occasion. The NO.1 G5 Heart Rate Monitor Smart Watch comes with a 12 months warranty, brought to you by the leader in electronic devices as well as wholesale electronic gadgets..